Take the opportunity and visit world’s leading trade fair for the automotive service industry. In 2018 the trade fair will be celebrating its 25th anniversary. Helios Refinish team will be pleased to tell you more about latest trends and development in the car refinish segment. We are looking forward to meeting you. 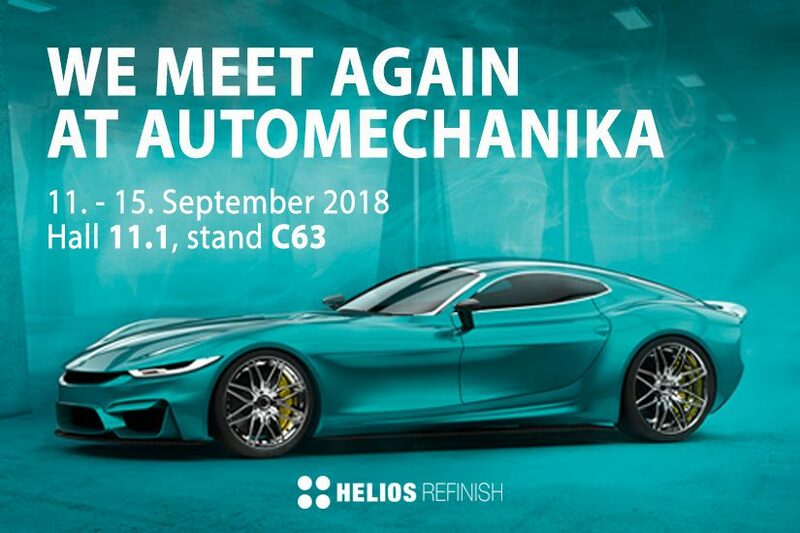 Visit us from September 11–15, 2018 at Automechanika trade fair in Frankfurt, hall 811.1, stand C63.